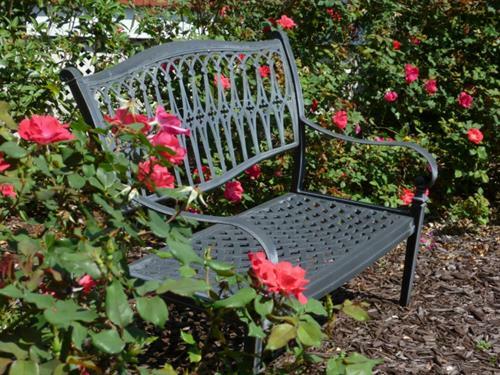 The Americus Garden Inn Bed and Breakfast offers a unique lodging experience in Americus, Georgia that delights and impresses guests with gracious hospitality, impeccable cleanliness, creative, nutritious and delicious breakfast foods in comfortably elegant surroundings. 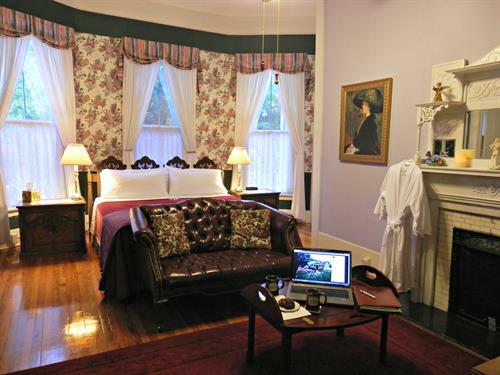 Treat yourself to true Southern Hospitality in an 8-time award winning Bed and Breakfast. Rooms prepared by reservation only. Full breakfast is complimentary, served between 8 - 9:30am in the dining room. Shirred eggs is a guest favorite. We serve a 3-course sit down breakfast that is commonly referred to as a "skip a lunch" breakfast. 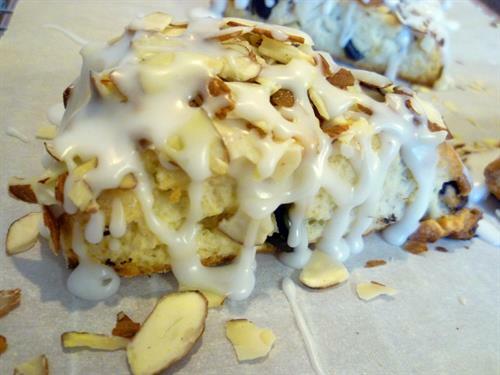 Our first course for breakfast might be freshly baked bread, muffins or scones, like these almond chocolate chip scones. Sit on the front porch and rock a while. 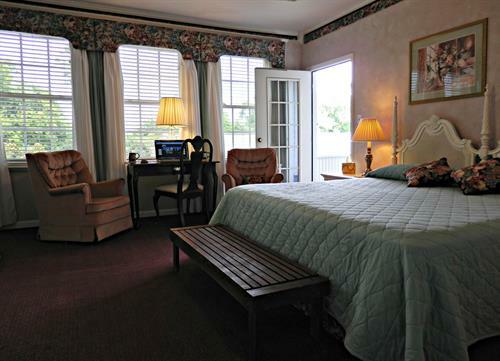 The Veranda Suite is a comfortable downstairs room with King bed and private bath with garden tub/shower combo. 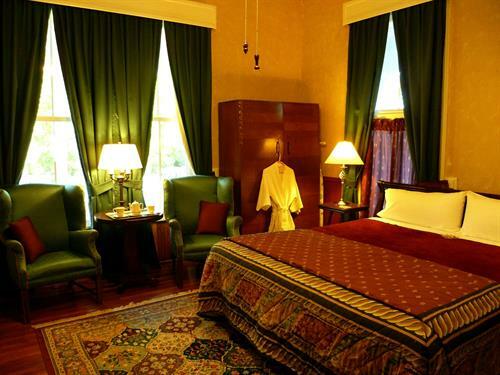 The Library Suite is a downstairs room with a King bed and private shower only bath. The Balcony Suite is an upstairs room with a King bed featuring a private balcony overlooking the garden. Enjoy the common areas in our beautiful home, including the living room with a baby grand piano.